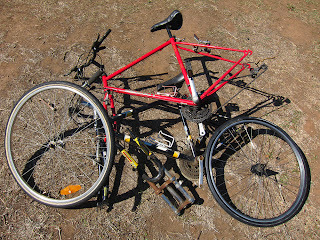 So, this particular bicycle is to be a little different from the average- it is to be a 'tall' bike. A tall bike is not something that can simply be bought from a shop - they have to be built - which is one of the main things that makes them attractive to me. 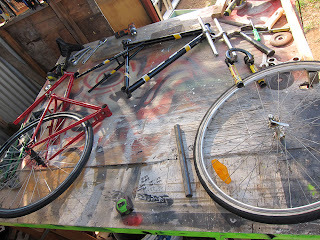 There is a strong culture of tall bike building across the planet with varying styles and degrees of finish being applied. 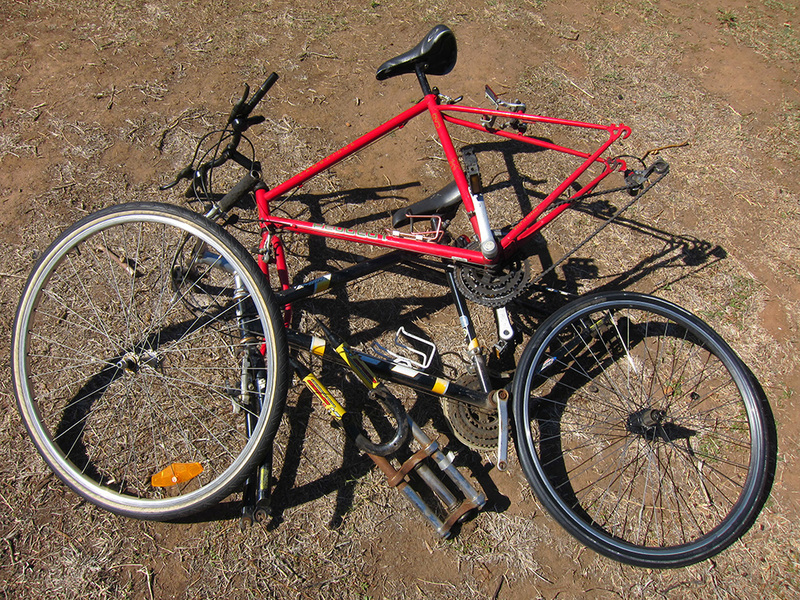 Usually these sorts of bikes are fairly D.I.Y. in terms of materials used and construction methods applied. My build fits the D.I.Y. ethos - there are many lovely tools that I would love to have but simply do not. This is not something that will get in the way of my adventure. In many ways it is the creative restrictions that determine many decisions. This is the bulk of my materials. 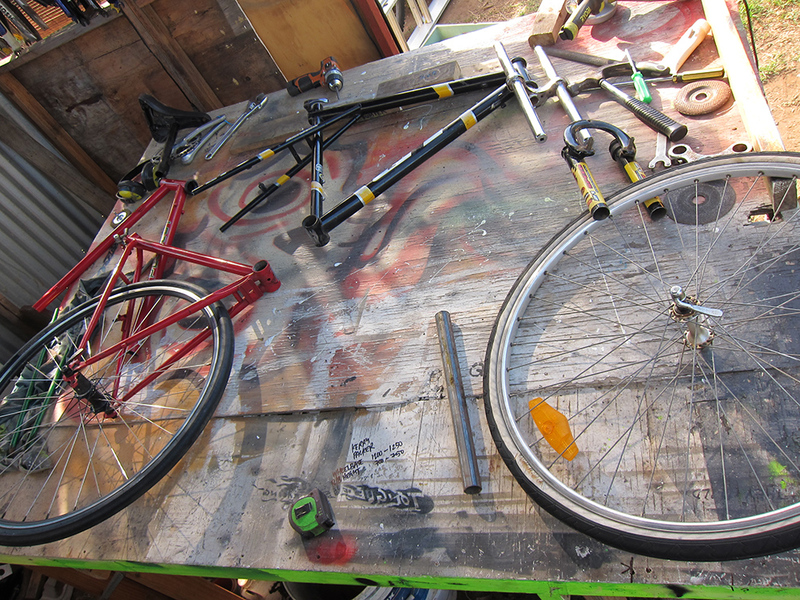 A couple of old frames - a GT and a Peugeot - some wheels and an assortment of other bits. I have a few basic shapes decided that will form the basics. 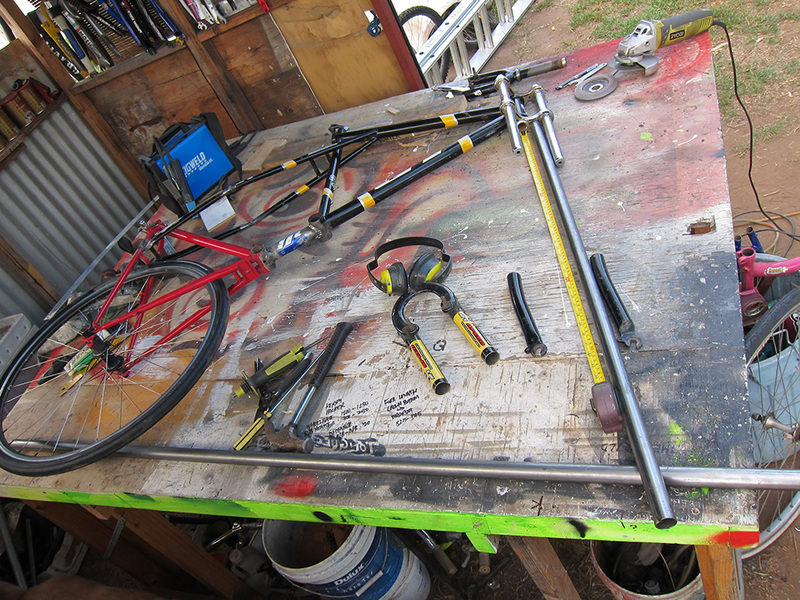 These include general measurements of wheelbase and bottom bracket height. 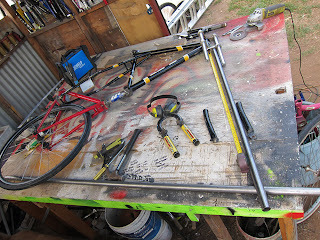 With the basic frame shape locked in I can now make some choices on fork length. This is the basic shape of everything ready to have parts added. 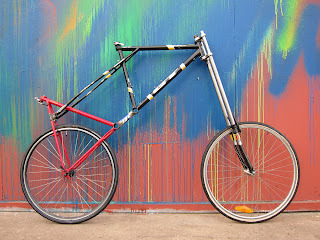 Jimmy's Tall Bike Adventures - The Build from James Dodd on Vimeo. We all love a little time lapse footage to help us condense and quickly view things that would otherwise require a great deal of time to experience. Here's bit of freaky motion to help you understand the build process.